MainAll NewsJewish WorldWhy did a Brazilian cop name his son Benjamin Netanyahu? Chabad emissary reportedly convinced Brazilian Interior Ministry to allow a pro-Israel policeman to name his son after Israeli premier. A Chabad emissary reportedly played a key role in enabling a Brazilian policeman to name his child after Israeli Prime Minister Binyamin Netanyahu. According to the report by the haredi Kikar Hashabbat website, Rabbi Yosef Katari, who has served as the Chabad emissary to the Brazilian city of Belo Horizonte for over decades, was approached by a fervently pro-Israel policeman who wished to name his child after the Israeli leader. "Opposite the Chabad house that my family operates, there is a police station which maintains warm ties with us," Rabbi Katari's son Mendel related. "One of the policemen at the station has my personal number, and while I was in Israel for a short period, he sent me a message that he had a son and he wanted to name him Benjamin Netanyahu as a private name," continued Katari. 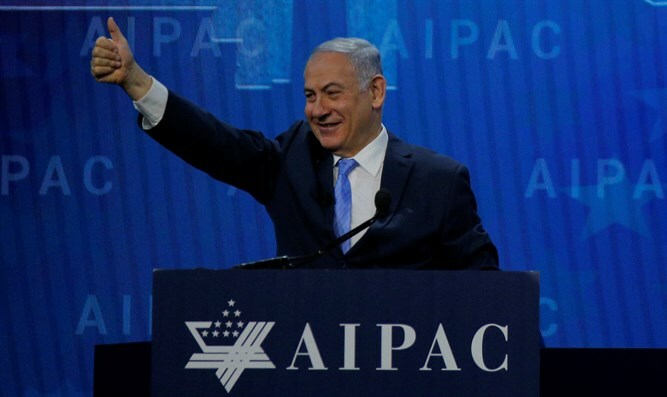 "The policeman, as an evangelical Christian, loved Israel so much, and Prime Minister Netanyahu and his positions that he presents at the UN, that he wanted to connect the person he admired with his son." However, the policeman's quest to name his child after Israel's prime minister ran into bureaucratic trouble. As Netanyahu is a last name, the Brazilian Interior Ministry refused to allow the law enforcement officer to name his child after the figure he so admired. After the cop was repeatedly stymied, he turned to Rabbi Katari and asked if he could intercede in an effort to convince the Interior Ministry to relax its opposition. "My father went into the thick of it, and prepared a letter in which he turns to the population registry and explains that the name 'Netanyahu' is also a private name since it is the basis to the biblical name of Netanya," recounted Mendla Katari. "The effort bore fruit, and the ministry agreed to register the son of the Brazilian policeman as 'Benjamin Netanyahu Rosa Santigo de Castro'.